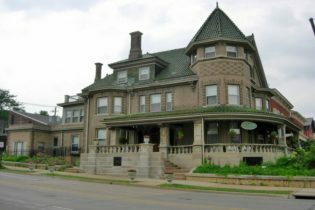 The Mandolin Inn is a historic bed and breakfast situated in the quaint town of Dubuque, Iowa. 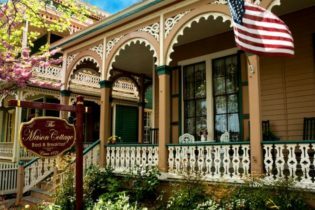 Beautifully restored with the comfort and elegance of a bygone era, the inn offers modern amenities and personalized services for each need. A perfect getaway for romance, the inn accommodates couples, vacationers and business travelers. 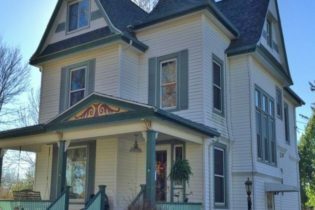 The enchanting Mandolin Inn is a premier bed and breakfast in the charming town of Dubuque, Iowa. Guests can unwind and enjoy a getaway in comfortable beautifully restored rooms in the relaxing atmosphere of the inn. Our meticulously appointed guest rooms are uniquely decorated and furnished with beautiful period antiques. The Mandolin Inn rooms are all equipped with queen or king sized beds down comforters and central air conditioning. Telephone, cable television, VCR, radio, books and stereo are accessible to all guests. A sumptuous gourmet breakfast is served each morning in the awe-inspiring dining room. The Mandolin Inn is just a short distance from three colleges, cultural attractions and dining options. Spend an afternoon enjoy the Dubuque Arboretum and Botanical Gardens, Crystal Lake Cave or the many museums. Ride down the lazy river at the indoor water park or board a Riverboat for a night of gambling. The LODGE at Spirit Hollow. A place where can play first class golf and relax in the comforts of your own private lodge. Experience Spirit Hollow like never before. Now offering Stay & Play packages at our Exclusive Golf Lodge. You will have to see it to believe it! Pricing for our new Stay & Play Packages start at $200.00 per person, double occupancy. 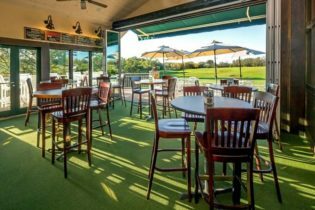 All packages include breakfast and dinner in our private dining room and unlimited golf. Southeast Iowa Regional Airport in Burlington, Iowa is just minutes away. Fares as lows as $60from Chicago and St, Louis. The Southeast Regional Airport is ILS approach and is equipped to accommodate private aircraft.